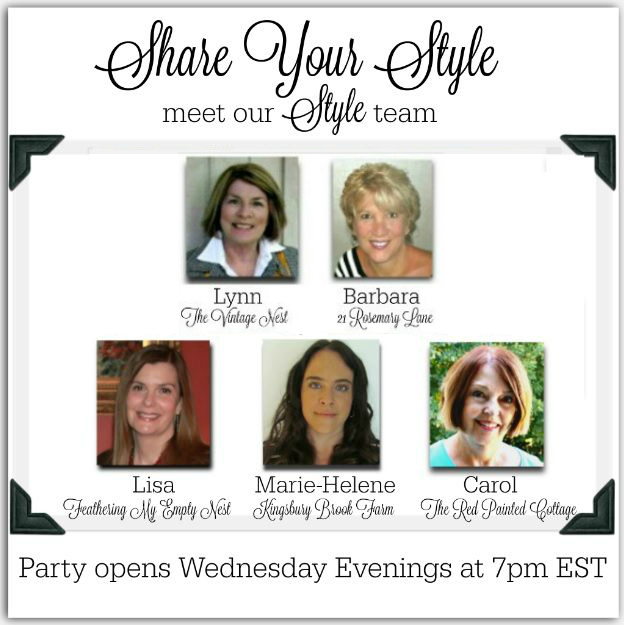 Hello everyone and welcome to Share Your Style Party #163. I am Lisa from Feathering My Empty Nest, and I'm so happy to be your host this evening. Spring has officially sprung, but here in the Carolinas, unfortunately, the weather hasn't gotten the memo. No matter, our SYS party bloggers are sure to provide tons of Spring inspiration, even if it doesn't feel like it outside your door. 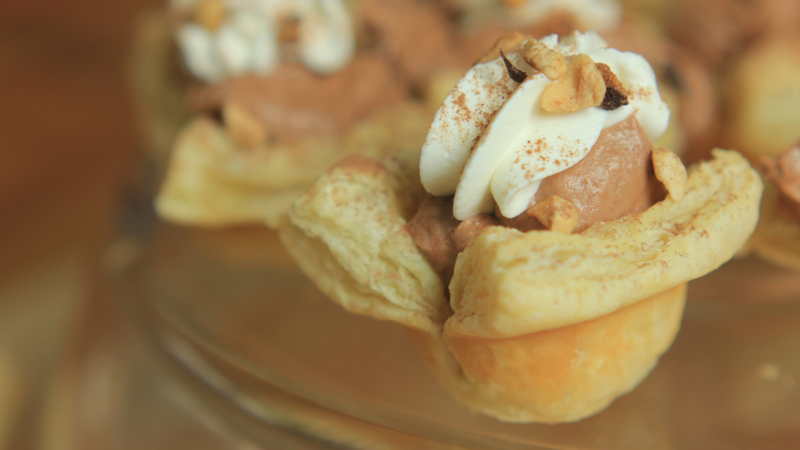 Danielle from A Sprinkle Of Joy shared her recipe for Chocolate Hazelnut Puff Pastry Bites. I think these easy but fancy-looking treats would be a perfect special dessert for any Easter Brunch. 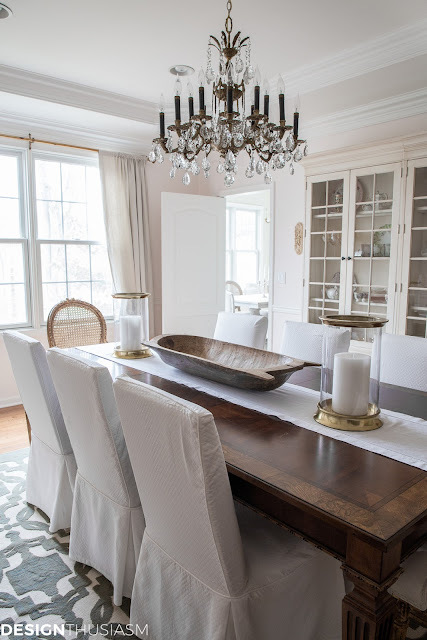 Lori from Designthusiam shared her gorgeous transformed dining room. She achieved the revamped understated European style, primarily with the addition of new slipcovers and accessories. So elegant! 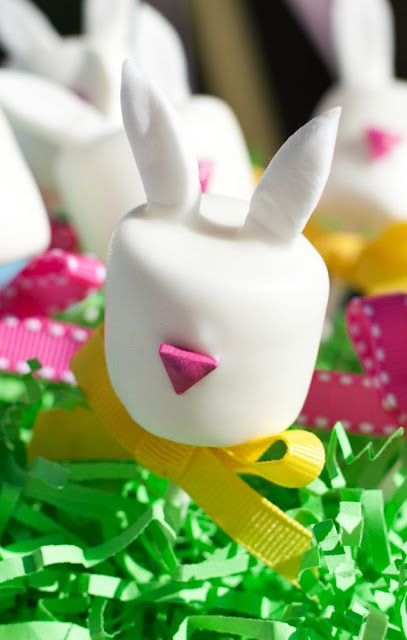 Paula from the Frog Prince Paperie showed how to make these adorable Bunny Marshmallow Pops which are so cute, they just might replace the iconic Peeps in your Easter Basket! 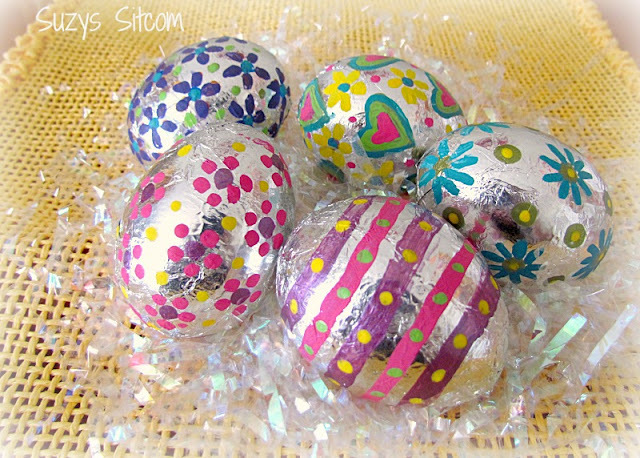 My final feature this week is another Easter post. It comes from Suzy of the Suzy Sitcom blog. Her tutorial for creating shiny foil Easter eggs caught my eye because I just couldn't believe she made such beautiful eggs with plain old utilitarian aluminum foil. thanks for hosting, Barb. Have a wonderful Easter! Thanks for hosting the party, this is my first time joining in. Happy Wednesday! Thanks for the party this week!